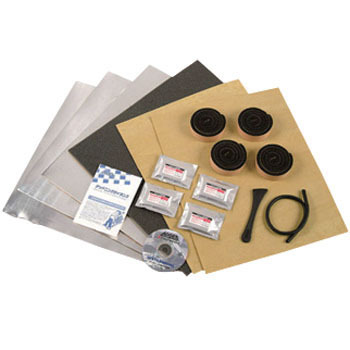 Items necessary to deadening of front door. Deadening of 2 doors with 1 set. For the first time deadening work, I chose this item with explanation DVD. It was very easy to understand and I was able to work with confidence. The amount of materials was also sufficient, so there was a little over place, so it is safe to fail to paste somewhat. Thanks to you, the sound of car audio has come to be misplaced. This review is about item#09934276.